The most complete Football WhatsApp sticker packs! We’re back with lots of new sticker packs. We added the following competitions: 🇭🇷 1. 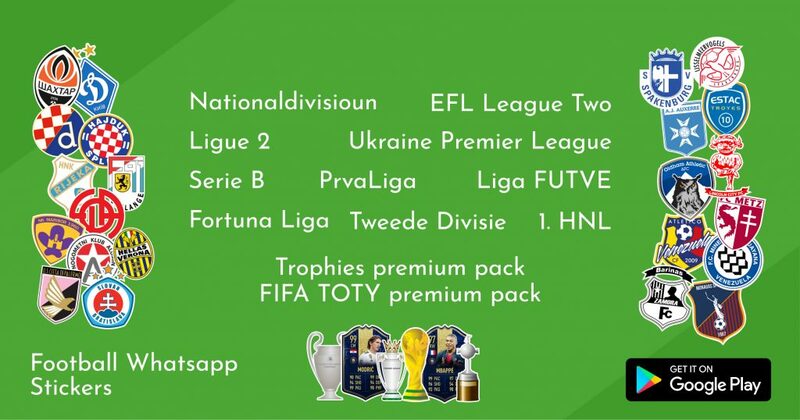 HNL🇬🇧 League 2🇫🇷 Ligue 2🇮🇹 Serie B🇱🇺 Nationaldivisioun🇳🇱 Tweede Divisie🇸🇰 Fortuna Liga🇸🇮 PrvaLiga🇺🇦 Premier League🇻🇪 Liga FUTVE ⭐️ 2 new premium packs! Download or update our app now in the Google Play Store. Don’t forget to tell your friends! 📲 Link: tinyurl.com/yavxvwb8. We’ve got some new competitions for you! 🇵🇾🇵🇪🇺🇾 Download or update our app now in the Google Play Store. Don’t forget to tell your friends! 📲 Link: tinyurl.com/yavxvwb8. In this update we added the Austrian 2. 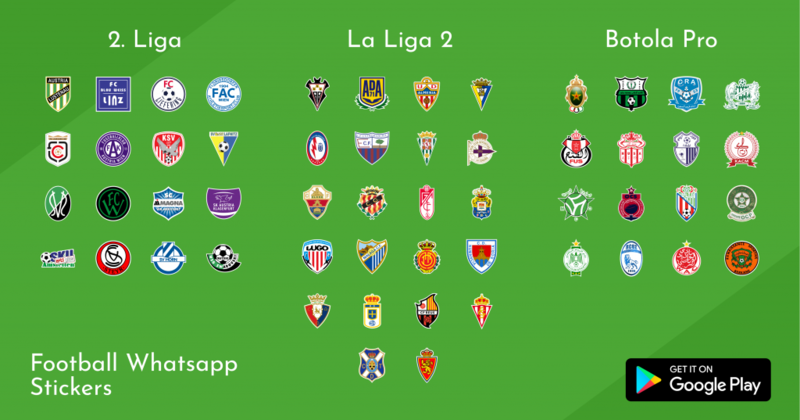 Liga, La Liga 2 and the Moroccan Botola Pro league. 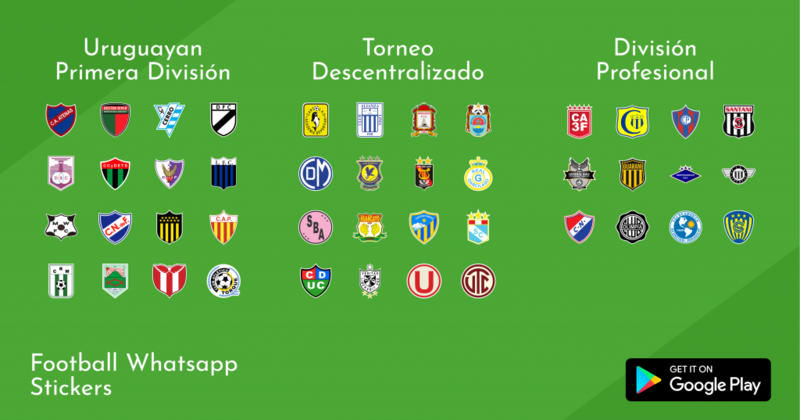 Teams like FC Linz, Malaga, Osasuna and Raja Casablanca are now available. Download the app in the Google Play Store and share the love to your favorite team now!